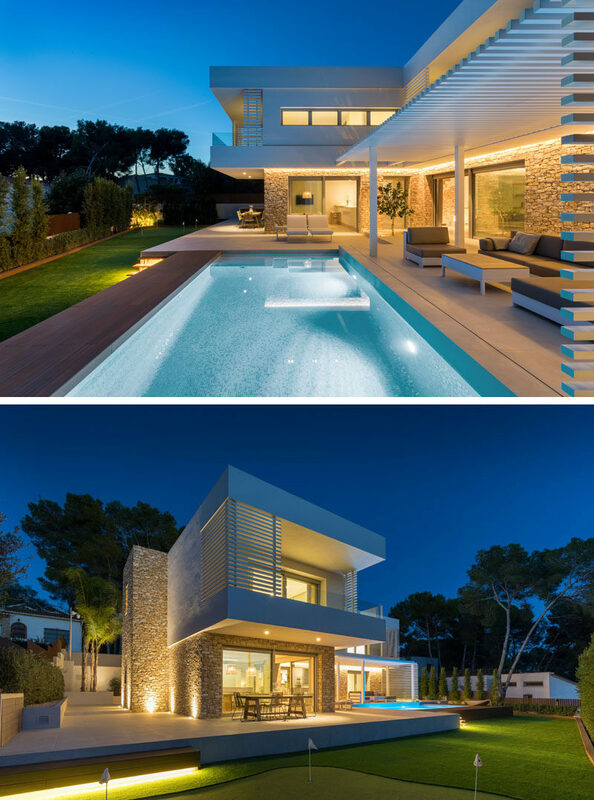 Pablo Serrano Elorduy of Dom Arquitectura, has recently completed the design of a new house in Tarragona, a city in Spain. 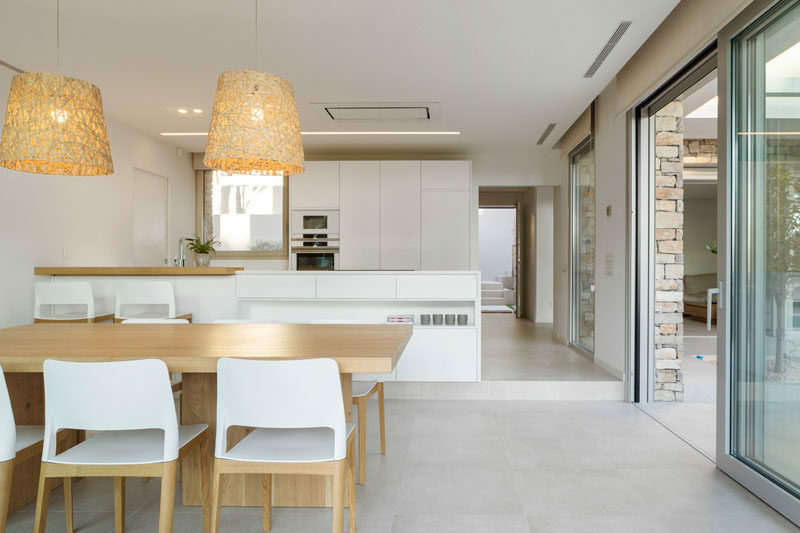 Paying homage to Tarragona’s historical stone construction tradition and the Roman city walls, the architect decided to treat the home’s ground floor as a dry stone plinth emerging from the ground. 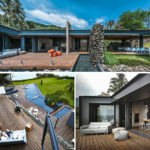 The upper floor’s white volume, as a purer and lighter piece, rests on the stone base, and provides cover for some of the outdoor areas of the main floor of the home, like the outdoor dining area. 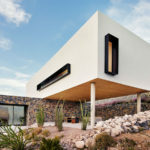 The white facade was created with a single layer of mortar and paint on thermal insulation panels, while the stone facade is placed on prefabricated concrete panels. The ground floor is home to the main social areas of the house, like the living room, dining room and kitchen, which open to a pergola that provides some shade from the sun while lounging outside. The inclusion of wood and natural materials add a warmth to the interior of the home. 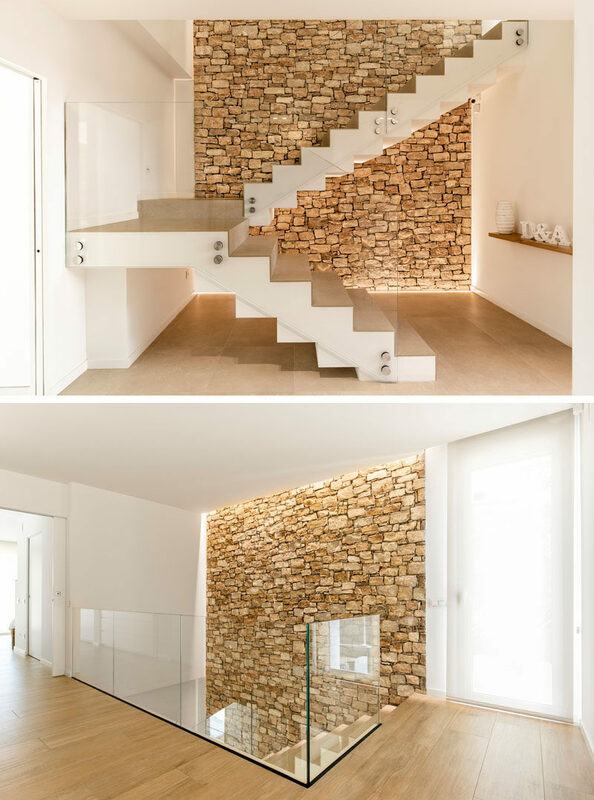 An accent stone wall has also been included inside the home, creating a backdrop for the staircase.